Porsche Cars North America is recalling certain Macan S and Macan Turbo vehicles from model years 2015 to 2017. Volkswagen Group is adding almost 300,000 Porsche and Audi vehicles to a previous recall for a fuel-pump defect that could result in fire, according to the U.S. National Highway Traffic Safety Administration. The fuel-pump flange on certain Porsche Macan models and Audi Q5 and Q7 SUVs may crack, which may lead to a fuel leak and possibly result in a fire, the auto-safety regulator said in recall advisories posted Saturday to its website. The components were manufactured by Continental AG. The Audi Q5s were built from July 2012 to March 2017, and the Q7s between May 2012 and July 2015. Dealers will apply a protective film to the fuel pump component, or replace it if cracks are found. The recall is set to begin July 2. About 240,500 Audis and 51,500 Porsches are affected by the recalls. 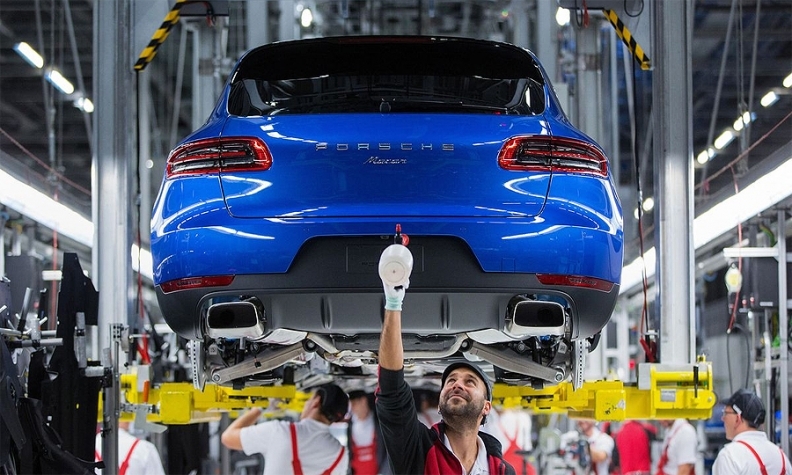 Porsche Cars North America is recalling certain Macan S and Macan Turbo vehicles from model years 2015 to 2017, as well as 2017 Macan, Macan Turbo with Performance Package and Macan GTS vehicles. The same remedies will apply to the Porsches.